Several weeks ago our much-loved hospital cat, Princess Aurora, lost her battle with kidney and heart failure. Things are definitely not the same around here without her! A very grateful thank you to all our wonderful friends who sent their condolences. It is with great sadness that the blog we hoped to push off as long as possible is being written, as we had to euthanize our beloved Princess Aurora today. She was in end-stage kidney failure, and trying aggressive treatment for her kidneys was then causing heart failure. Previously, we gave general tips for traveling with cats, focusing on trips in the car. But what if you are traveling to California? Or moving to Hawaii? While researching this article, we are reminded just how complicated flying with your cat can be. So you’ve gotten your cat used to riding in the car for short distances; now how about taking your cat on vacation with you? 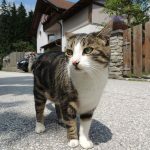 Maybe you’re lucky enough to have a vacation home at the beach or in the mountains, and of course, you don’t want to leave Kitty behind all summer. Summer is finally here, and that brings travel season. 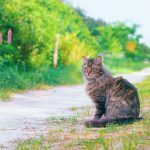 Since you probably wouldn’t be reading this if you didn’t share your life with at least one furry feline, you may be faced with decisions about traveling with your cat. 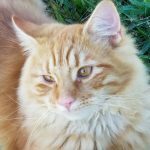 How can I get my cat into a carrier? Should I take my cat with me or leave her at home? 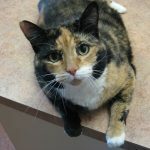 Many of our clients know our hospital cat, Aurora. She’s such a celebrity, she has her own Facebook page! But Aurora hadn’t been feeling well lately, and we were worried she might have a heart problem. So she visited the local cardiology specialists and wrote the following about her experience. 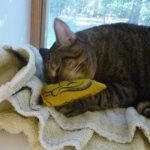 Vocalizing in Cats Part 2: Why does my cat talk so much? 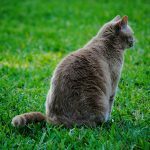 Our last blog post discussed the answer to the question, “Why does my cat talk so much?”, focusing on healthy cats. In those cases, modifying your cat’s environment may be all that’s needed to keep the peace. 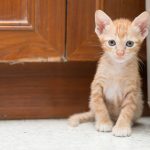 However, what if your cat is not young and healthy? 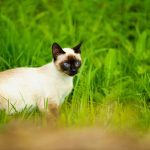 Vocalizing in Cats Part 1: Why does my cat talk so much? Siamese cats are noted for being more vocal than other breeds. 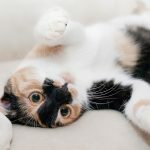 Hormonal reasons include estrus (cats “in heat”); cats who vocalize more may be bored, stressed with a change in environment or they may have a medical condition. Sometimes we reinforce attention-seeking behavior when a cat vocalizes and we “answer”. 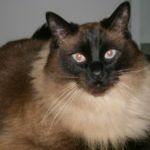 Kidney Disease in Cats: Getting old is tough! Aurora just celebrated her 17th birthday, and as so many of you kindly noted, she looks great for her age. 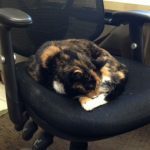 In human years, 17 cat years is equal to about age 85, so the fact that her favorite sleeping spot involves hopping up on Dr. Mustillo’s chair (arthritis and all!) is remarkable. 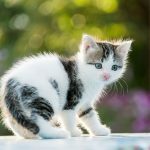 Vaccines and Autism: NO link in cats (or people)! The recent outbreak of measles shows what happens when people stop vaccinating their children. And, measles is more than just a rash: blindness and even death, not to mention in-utero problems can result. 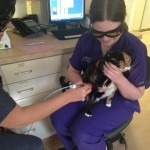 Laser Therapy for Cats: Hot Treatment for Cool Cats! 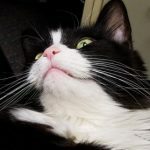 Feline Acne, or Chin Acne in Cats: My Cat Has Pimples! 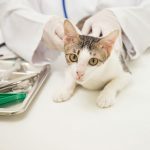 Have you ever noticed bumps or scabs on your kitty’s chin, and when you asked your veterinarian about it were told your cat had Acne? 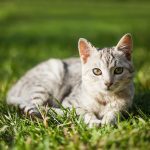 Differing from the disease so common in human teenagers, feline acne is the term used to describe any inflammation of the chin of cats. 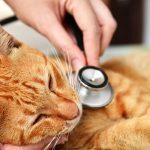 Pet Health Insurance for Cats: Is it worth it? 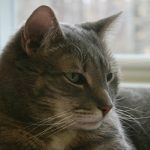 With Dental Health Month almost upon us, I thought it might be a good time to bring up the subject of health insurance for your cat. Some policies do cover wellness services, so it’s worth considering. This holiday season we wanted to bring you twelve thoughts about how our staff celebrates with their pets. Last week we shared some stories about the special treats they give or their memories of the holidays with their pets. We left off with #7, so as Christmas draws near, here are the rest. We all love our pets, and celebrate big occasions with them in many different ways. 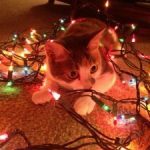 So we thought for this holiday season, we would provide you a little peak at how our staff at A Cat Clinic celebrates the holidays with their pets. This past summer we posted a blog about the importance of getting a microchip for your cat. 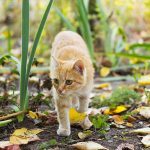 Your cat may never go outside on purpose, but unfortunately accidents do happen and sometimes indoor cats find themselves outside, scared and sometimes far from home. 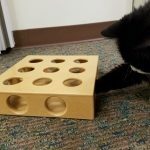 A few weeks ago, we did a blog post on treating pain in cats, which discussed the fact that cats DO feel pain, they are just good at hiding it. 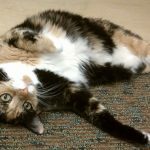 When you think of arthritis in pets, most people think about dogs, but arthritis in cats occurs more frequently than you might think. “Make it Fear-Free”– this was the title of a recent article in a veterinary magazine, and a focus for veterinarian, author and speaker Marty Becker, DVM. In veterinary school, we are trained to focus on the physical well-being of our patients. It’s hard to believe that people used to think that animals “don’t feel pain”. All mammals have the same basic nervous system, so this never made any sense. Fortunately, people no longer believe this; we also have safer analgesics (pain medications) available. It’s August, and although this summer has not been as hot as usual in the central Maryland area, it’s important to think about summer heat safety for your cat before heading out for a ride. With another month of summer weather left, we’re bound to get some 90 degree days. Think Your Indoor Cat Doesn’t Need a Microchip? Think Again! Except… Zizou was living in an apartment, never went outdoors, until there was an electric fire. Zizou’s parents were able to escape but the frightened cat bolted and is still missing. The owners thought they found him, but the black and white cat they found was not Zizou. Unfortunately, he does not have a microchip. One of our clients had found an orange and white kitten. He seemed fine at first, but the next day, he just collapsed and they rushed him in to our hospital. Krystal, our receptionist, looked at the kitten and ran for me. As you learned from the recent Rabies vaccine back-order situation, there is only one company that manufactures the non-adjuvanted vaccine. This is why we had to wait until vaccine became available from them again. 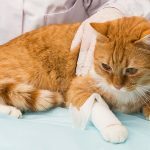 Eye injuries are not something to fool around with, as they can worsen quickly if your cat rubs his eye. And just like children, if you don’t want him to rub his eye, that’s exactly what he’ll do! 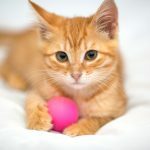 This week’s blog post was originally published on FelineDocs.org by Dr. Diana Lafer of Cats Limited Hospital in West Hartford, CT.
Of course, there is no Fountain of Youth. At least not that has been discovered yet. 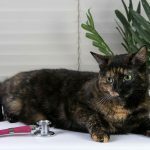 But new advances in veterinary medicine occur all the time, and research can show new ways to help your cat slow some of the effects of aging on their bodies. Lilies are a no-no for your kitty! We’ve set our clocks forward and have seen crocuses and daffodils poke their heads up from the frozen earth, and the first thing that many of us want to do is to celebrate spring with some lovely, fragrant lilies – especially the beautiful white trumpet-shaped Easter lilies that appear everywhere this time of year. 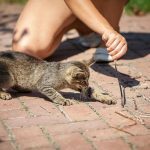 Feline Heartworm Disease: Those buzzing mosquitoes can be fatal! “My cat never goes outside. 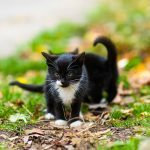 Why do I need to worry about heartworm disease?” You may have asked yourself this question when you saw an ad for preventing feline heartworms. But just like the stink bugs many of us in Maryland find flying around our houses all winter, mosquitoes can get into your house and infect your cat. February is over (thank goodness, with the way this winter has been! ), but that doesn’t mean you shouldn’t still think about helping your cat maintain a healthy mouth. And with our new Dental Health Promotion policy ($50 discount if dental cleaning scheduled within 1 month of annual exam), your cat never has to wait for Dental Health Month to have the cleaning he or she needs to stay healthy. If you’ve been in an exam room and heard a cat loudly asking for lunch or for dinner, that likely is Aurora. She has no “shut off” valve when it comes to food, but our technicians check her weight daily to keep her on track. 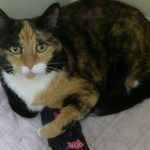 Aurora was in an unhappy situation when she came to us; her owner was ready to give her up. My Cat Is Waking Me Up at 4 AM!! 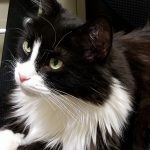 The following blog post is from the FelineDocs website. 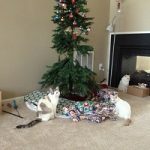 Dr. Tammy Sadek offers some tips for the holidays from the perspective of your cat. What does your cat think of all the holiday trappings? I spoke to the pharmacist at one of our local pharmacies (whom we’ve been dealing with for 20 years), and apparently the ruling is from FDA setting national and not just state regulations. 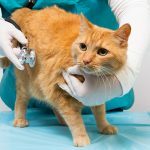 Below is the second of two blog posts on the often difficult task of medicating your cat. 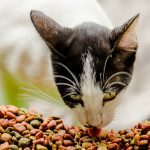 It is a follow-up to our previous post written by Dr. Michael Ray, “Common Human Mistakes with Cat Meds.” This post is also from the Feline Docs website, and was written by Dr. Marcus Brown of the NOVA Cat Clinic in Arlington, VA.
You’ve just been told your cat has an infection and you need to give oral medication every day. Does this strike fear in your heart? 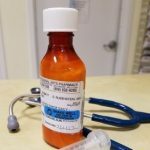 Have you had to struggle with your cat to administer medication in the past? If so, you’re certainly not alone! 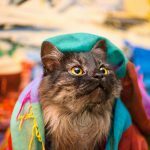 Some tips on living with cats. We all have favorites we’ve learned, so please post your favorite tips in the “comments” section! We all know there is no better feeling in the world than having a cat sit on your lap purring. But could that wonderful feeling actually be improving your health? Read the blog posting below, from the Feline Docs website. 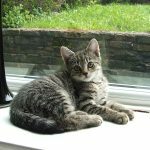 Have you considered pet insurance for your cat? Unfortunately, accidents and illnesses will happen to your cat over his or her lifetime. 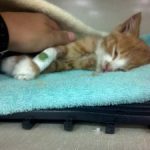 What would you do if your cat became sick or injured and the treatment(s) were expensive? Would you let cost compromise the quality of care that you give to your cat? Veterinary medicine is advancing every day, and new technology and treatments come with additional costs. Fighting or Playing? How can you tell? 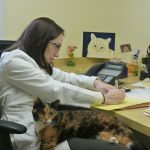 The following post was written by fellow cat veterinarian Dr. Colleen Currigan of Cat Hospital of Chicago on the Feline Docs website. 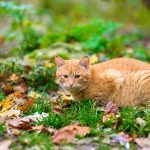 Tick prevention needs to be considered for all outdoor kitties. 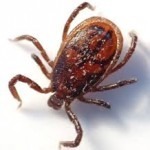 Most people are familiar with the importance of tick prevention in dogs, as well as that ticks can transmit diseases such as Lyme disease. 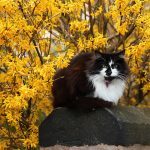 The following post is from FelineDocs.com, a website dedicated to information about cats written by feline veterinarians. 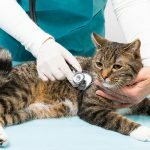 Finding the veterinarian that both you and your cat will trust and be happy with is a very important step. If you are looking for the right vet for your cat, we hope this will help!